The star of today’s show is one you just might have seen around here before… specifically, on this latest & greatest post! If you’re anything like me, they were the first things to catch your eye. The obsession didn’t stop there. It took me all of two seconds to add them to my cart, and now that they’ve arrived I absolutely cannot stop wearing them! 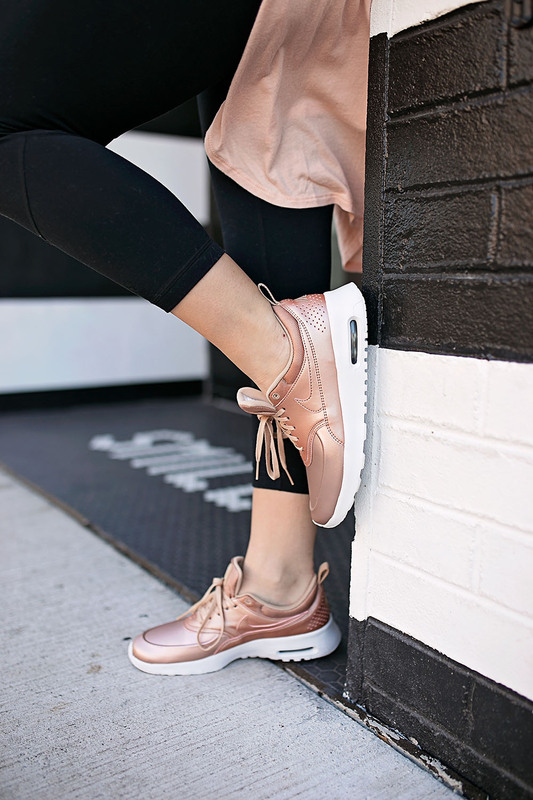 Friends, meet my new obsession, these metallic kicks. Today, I am so excited to partner up with Nordstrom to show them off! The color is so gorgeous in person, and definitely takes any typical “athleisure” outfit to the next level! But it doesn’t stop there… these tennis shoes come in a show-stopping silver as well. So cute festive for the holiday season! I don’t know about you, but I’m a huge fan of whoever decided cute athletic-wear was socially acceptable to wear out and about. 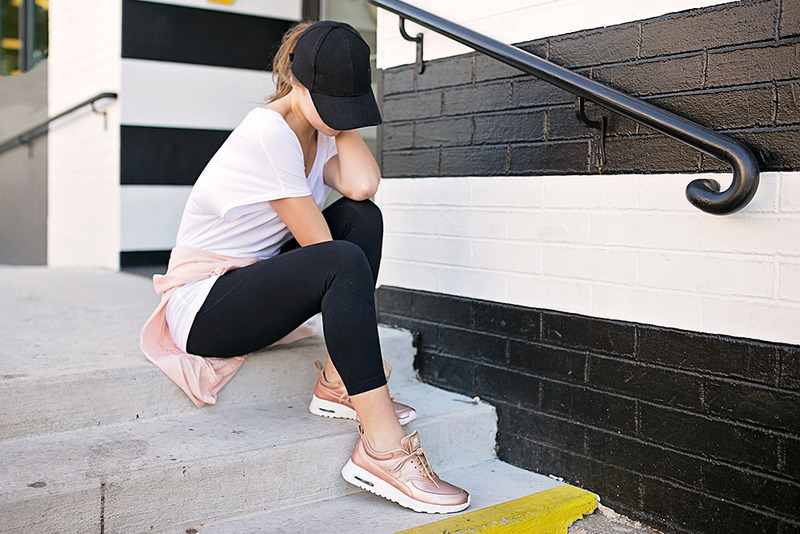 Paired with my favorite pair of Zella leggings, an oversized tee and a black baseball cap, you’re set to take on errand-running or road tripping in serious style! Leave it to my favorite shoe department, Nordstrom, to carry the most glam pair of sneakers I’ve seen all season! They always have a fabulous, often-exclusive selection of shoes from tons of my favorite brands. When it comes to compiling my own Christmas list as well as shopping for others, it’s a one stop shop. 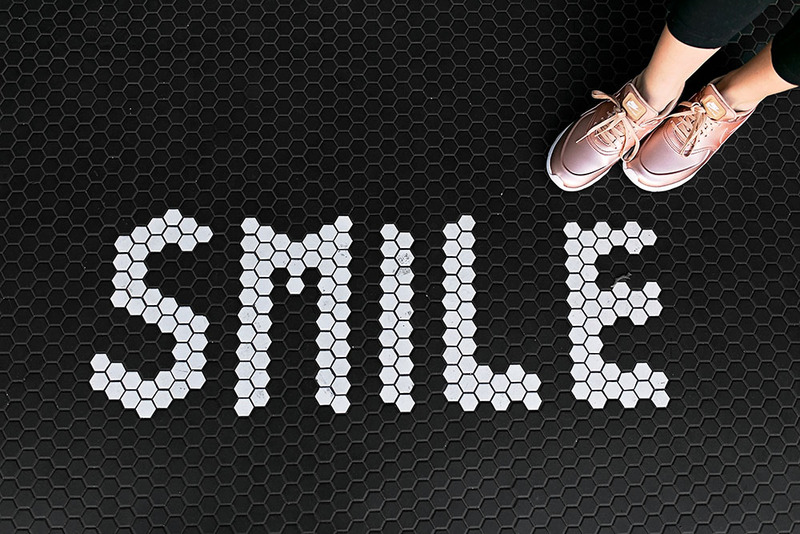 See the cutest new arrivals here! Thank you, Nordstrom, for sponsoring this post! Those sneakers are beautiful! I’m not much of a sneakers kind of person but I’m seriously thinking about getting those! How cute!! Love the color. I do love the sneakers!! Those sneakers are SO cute! Love the color. This look is so cute, Kate! Perfect for casual days running errands!